The common wisdom is that buying a home is better than renting. 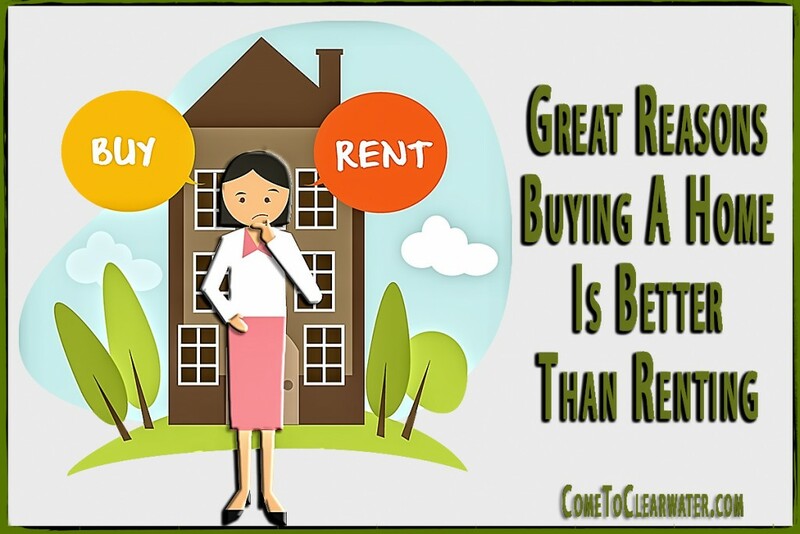 Common wisdom exists for a reason, buying is better than renting and here’s why. If you rent a home it costs you more in 5 years than buying one does. Here’s how. If you rent a home for $1,500.00 per month for 5 years will cost you $90,000.00. Buying a home with a mortgage payment (principal and interest only) of $1,500.00 is $90,000.00… BUT a homeowner gets a tax deduction for the interest paid on their mortgage. Let’s say that deduction is a total of $3,000.00 or $250.00 a month. Over 5 years that’s $15,000.00. Deduct that from your 5 year amount paid out and you actually only paid $75,000.00! That doesn’t even take into account a First Time Home Buyer tax credit that you may qualify for if you’re a first time owner. Those monthly payments are finite with a purchased home, but infinite when you rent. Your mortgage has a beginning payment and end payment and once you pay that last payment, you get to live in your home with no monthly payment to stay there (beyond your real estate taxes). When you rent, you pay a monthly payment to live in the home with no end unless you leave. If you rent a home and walk away from it when the lease is over you leave with nothing but the possessions you came with. When you sell a home, you get back the equity, or value, that you put into the home. As you pay your mortgage, you gain equity from the amount of principal paid. You also gain equity when the value of your home rises. For instance, if you purchased your home for $150,000.00 and sell it ten years later for $250,000.00, you gained $100,000.00 in equity. That rise in equity can come from changes in the market, but also in the value of repairs and updates you make to the home. Those repairs and updates can be made when you want and no one else gets a say. If you rent and want to update even the paint in a room, you need the permission of the landlord and if they say no, you’re stuck. So yes, it pays to buy!